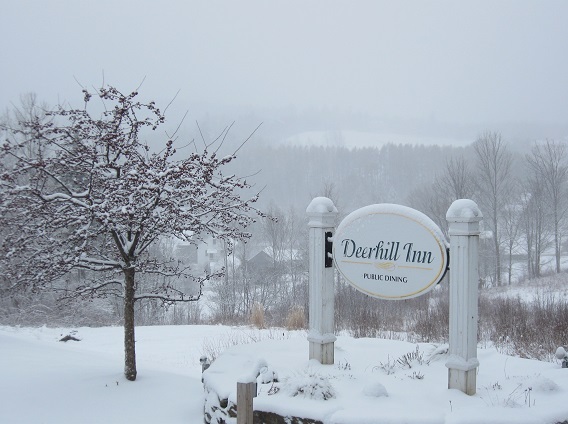 On a peaceful hillside above the historic village of West Dover, Deerhill Inn gazes across the snow-covered trees of the Deerfield Valley to the ski runs of Mount Snow and Haystack Mountain. Twinkling lights and snow-covered trees make this a magical place to curl up by the log fires and spend Christmas and the Holidays. 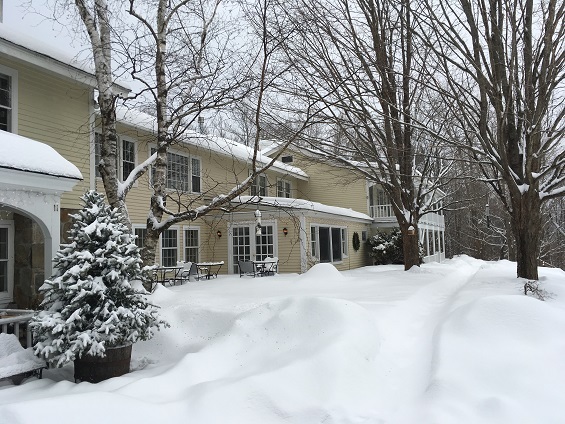 With Mount Snow base lodge just seven minutes away, guests have skiing right on the doorstep. Or you might prefer snow-shoeing, cross-country skiing, dog-sledding or a romantic sleigh-ride - all nearby. Or browsing antique and craft shops and sampling the excellent local restaurants. However you spend your days, our beautifully-decorated guest rooms are waiting for you every evening. 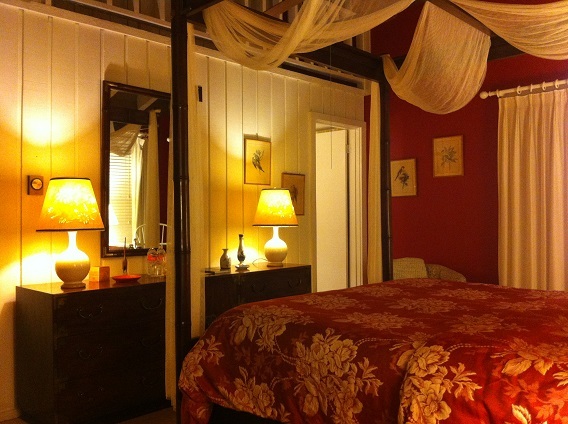 Each unique and welcoming room or suite features luxury robes and bed linens, L'Occitane amenities and free Wi-Fi. 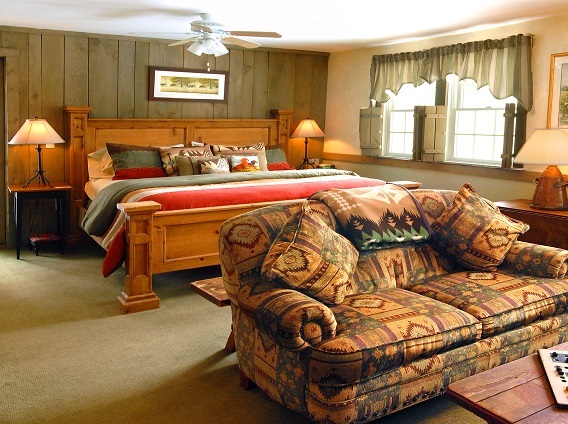 With Mountain views or private decks, many rooms have jetted tubs, rainforest showers, fireplaces and TV/DVD players to make your stay extra-special. Sitting and Dining Rooms are cozy and welcoming with log fires and Mountain views where guests can enjoy Afternoon Tea or a glass of wine curled up with a book or chatting with a friend - or there's a cute and cozy Bar if you'd prefer a cocktail. Our a la carte full, cooked country breakfasts are a special event and delicious dinners feature fresh local ingredients followed by indulgent desserts. 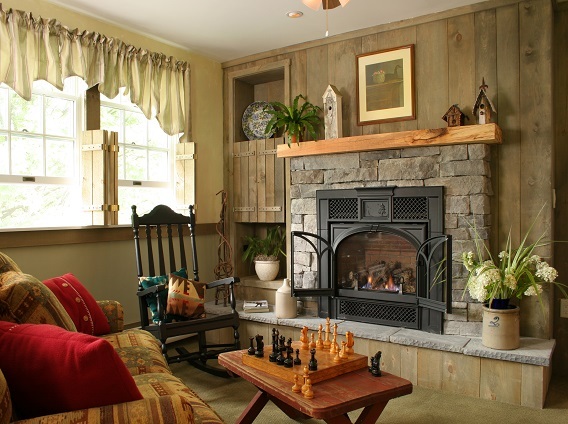 Whether you're celebrating an important event, planning outdoor Winter fun, relaxing from the hectic pace of life or "just because" you want to be with someone special, you are always warmly welcomed to our home, in Vermont's unique and lovely Green Mountains. Our full, cooked country breakfast is a special event - and it's included in the price of your room. Learn more about Breakfast ...Start with perfect home-baked scones accompanied by local jams and butter, then perhaps you'd enjoy a traditional home-cooked country feast with cage-free eggs, bacon, ham and country potatoes all from our local farms. Or one of Chef's unique omelets with the fillings you choose? Try the blueberry pancakes ... Delicious fruits come accompanied by locally-made organic yoghurt and Vermont granola, oatmeal is served with brown sugar, dried fruits and nuts - and Vermont Maple Syrup, of course. There's locally-roasted coffee - our very own Deerhill blend roasted specially for us - and a large selection of specialty teas and herbal infusions. You may not even need lunch! When you're well-fed and ready, all-seasons Southern Vermont is there on our doorstep. 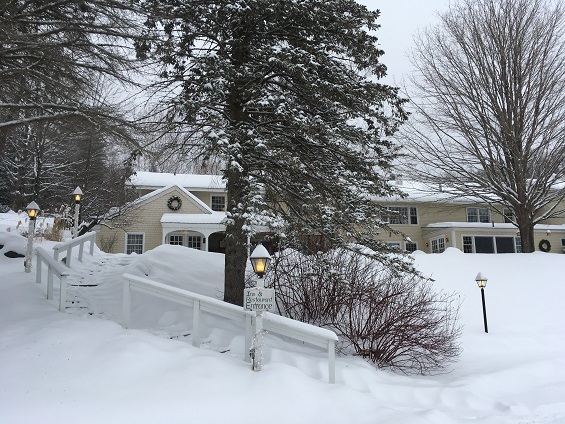 Learn more about exploring Southern Vermont ...Mount Snow is just seven minutes from the Inn offering first-class skiing and snowboarding for all skill levels. Close-by there's cross-country skiing, snowshoeing, snowmobiling, husky-mushing - and romantic sleigh-rides. Summer brings hiking, golfing, fishing, biking, canoeing, kayaking and lake boating - and if you're still looking for romance, try a two-person carriage ride! 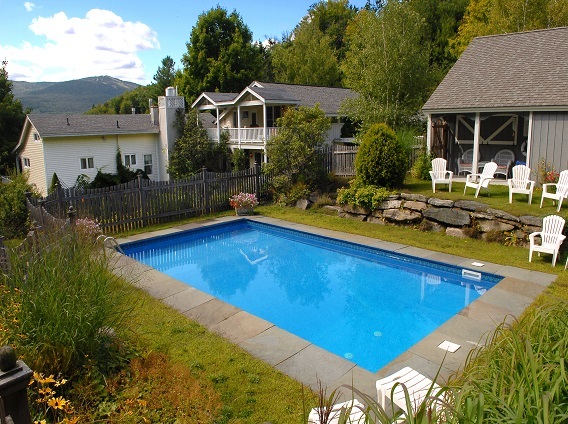 Stratton and Bromley Mountains and the quaint towns of Wilmington, Brattleboro and Manchester are just a short drive away. There are galleries, craft and antique shops, museums, historic houses, theaters, concerts, pretty farms and villages, cheese and wine makers and sugar-houses - and fabulous Fall Foliage driving tours. 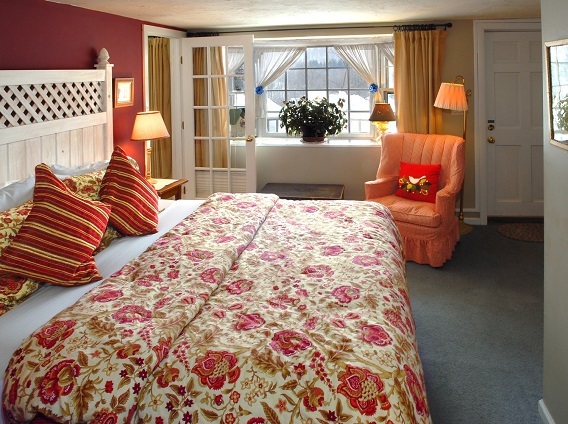 Then home to the Inn, for a truly memorable dinner and a restful sleep under Vermont's magical starry skies. With views of the Green Mountain ski slopes across the wooded Deerfield Valley, candles, flowers and log fires, our Dining Room just might be the most romantic place you'll ever eat! Learn more about dining at Deerhill Inn Restaurant ...Innovative and healthy cuisine created by Executive Chef Ryan O'Connor features locally-sourced produce and meats, with fish and seafood brought in fresh that day from Boston or Maine. We'll take care of everything so you can relax, savor the food and enjoy the company. Our List of New World wines carries the coveted Wine Spectator award, and our bar staff enjoy mixing your favorite cocktail - just right! 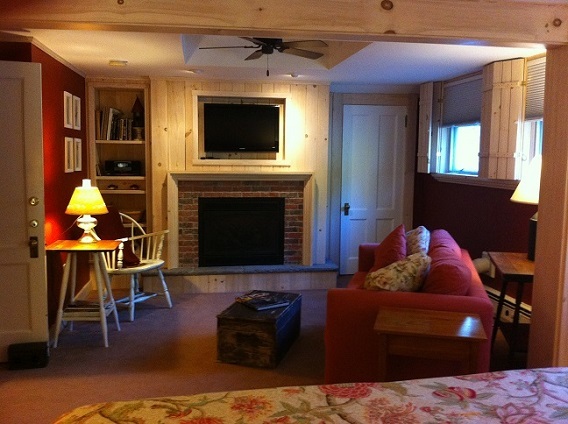 What makes our Inn special? 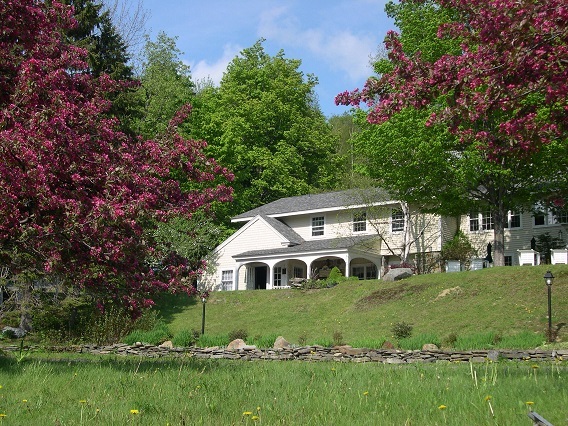 Deerhill Inn is one of the few remaining luxury Vermont retreats not owned by an out-of-State corporation. Learn more about staying with us ...Owners Scott and Ariane live at the Inn and you'll feel welcomed to our home with the reassurance of knowing there is always someone to help with whatever you need - but never, ever feel intruded upon. 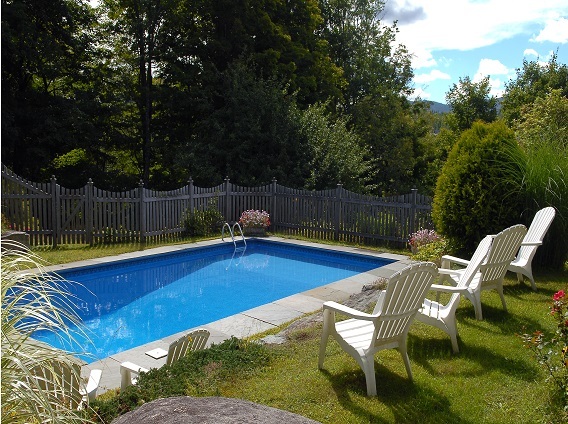 In Winter we'll light a log fire for you so you can curl up and be cozy, in Summer we'll carry your cocktail out to the Pool while you stretch out in Vermont's gentle sunshine. Our Inn is not smart or sleek, but it's not full of doilies and frilly pillows either. If you enjoy an English Country House atmosphere of antique furniture, pretty fabrics, modern amenities and warm and unobtrusive service, you'll be comfortable and happy here.